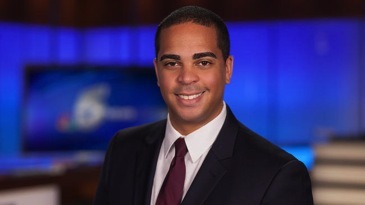 Fort Worth-based NBC5 has added Cory Smith to its news staff after the South Oak Cliff native’s three-year stint at ABC affiliate KSAT-TV in San Antonio. Smith will be co-anchoring the station’s weekend evening and late night newscasts, succeeding Johnny Archer. He’s moving to weekend mornings, teaming with incumbent Katy Blakey. Both Smith and Archer also will report three days a week. The newcomer is a graduate of Bishop Dunne High School and the Medill School of Journalism at Northwestern University. In 2007 he interned at Dallas-based WFAA-TV before Belo Corp. sold it to Gannett, Inc., now known as TEGNA in terms of its TV holdings. Smith also worked as a production assistant for the Big Ten Network before anchoring and reporting for 6 News in Lawrence/Topeka, Kansas from 2010 to 2012.